We offer Turnkey packages. From the foundation design on through the dismantle, we can be a singular contractor. We aren’t subbing everything out and marking it up. We perform most of the work in-house. And it shows. We erect cranes in as little as 3.5 hours. Seattle Tower Crane specializes in the small tower crane market for the wood frame apartments. We are bringing unique products to Seattle. We have three models with 3’-9” wide towers so you can put them in a elevator on the zero lot site. We’ve erected a crane with 95’ between a drop line and power lines because of the flat top design. Seattle Tower Crane is happy to erect the crane of your choice. If we don’t have the crane you need, we’ll still erect and offer to operate the crane for you. Our core business is supplying hoisting equipment, but we’ll perform the hoisting role that you need. OGEI Material Hoists are an option only we deliver. There are some other models available. We believe that we have by far the best option. Some of them require scaffolding. Some run by remote control. Some have pretty small cars. Ours are as automatic as a conventional elevator in a building and they attach directly to the building face/floor. Our OVP Under the Hook gear is excellent quality out of Italy. We rent or sell this equipment as needed. If your company doesn’t have all of the tools of the hoisting trade, we have you covered. All of the gear conforms to the ASME B30 standards. Pricing for purchase is the best in town. The products aren’t going to be damaged in two years or less. These will run for many years. Similar products I sold a decade ago are still in operation. 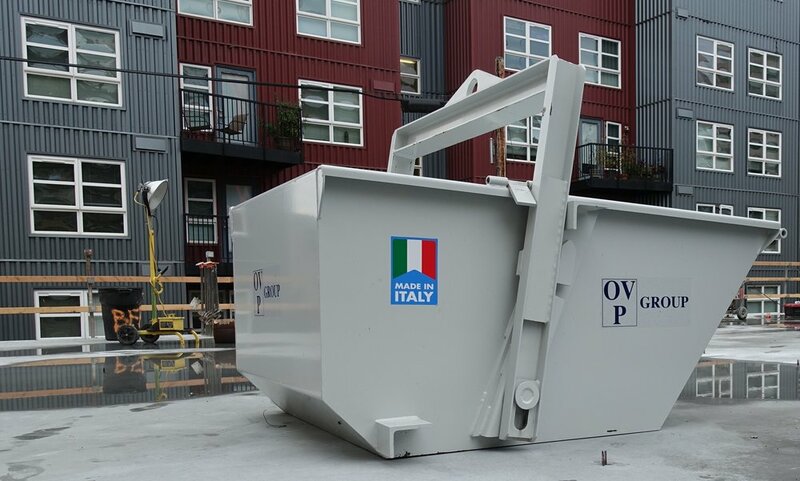 We are innovating construction in Seattle. If you are working in the woodframe market, you need to see what we are bringing to the table. Let's set up a meeting and talk about how we can boost production and save you money.